Here are list of places I recommend to eat in Ktown. 1. Kang Ho Dong Baekjeong: My friends and I love going to this place for Korean BBQ. Don’t want to cook yourself? Don’t worry; they will do it for you. It’s always busy and it’s not AYCE. The last time I went was around 2 pm; which wasn’t bad. However, the time before that, I was quoted a 2 hour wait because it was around Thanksgiving. You can try Quarters BBQ across from this place as it is the same owner; just a somewhat different menu. I usually order the Small beef combo and add the Lunch Box (so good). Their Soy Bean Paste soup is so delicious too. 2. EMC Seafood Raw and Bar has a special happy hour on their oysters ($1/oyster) between 4pm to 7pm and another at 10pm to 2am. If you come a little before 6, it’s not as busy because a lot of people have not come out from work yet. 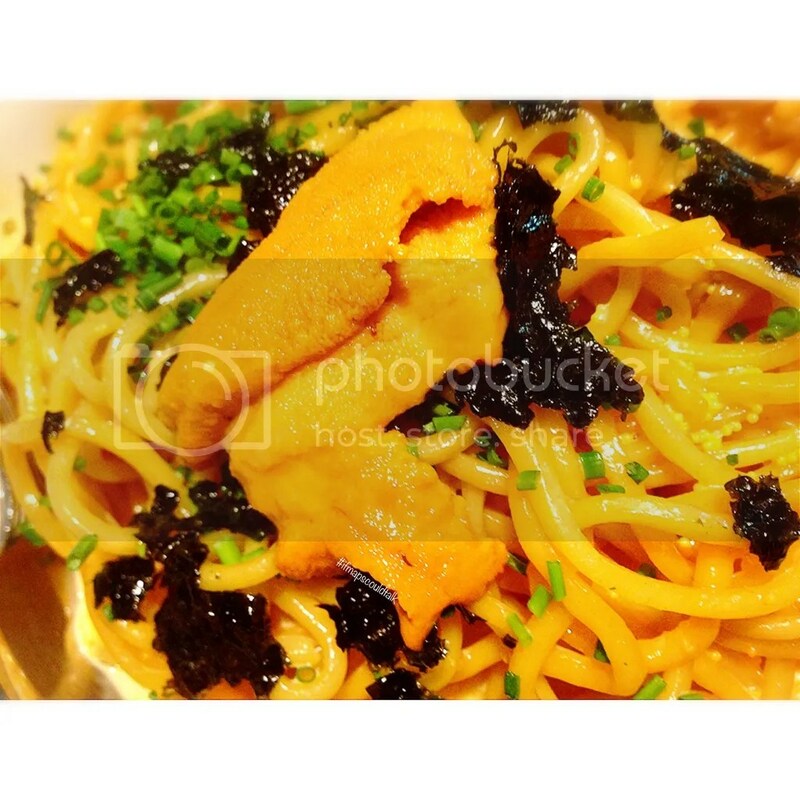 Other than the oysters, you should try their uni pasta. 3. Mister Bossam: The garlic pork belly bossum is Yums! I’m not sure how they cook it so well (it’s probably the quality of meat). You eat it with rice, leaf lettuce, and the sides. It’s just mouth watering typing about it. 4. BCD Tofu House: It’s not THE best, but it’s just so convenient to have it open 24 hours (the one on Wilshire). The soondubu isn’t always consistent, but it does tame your craving. 5. 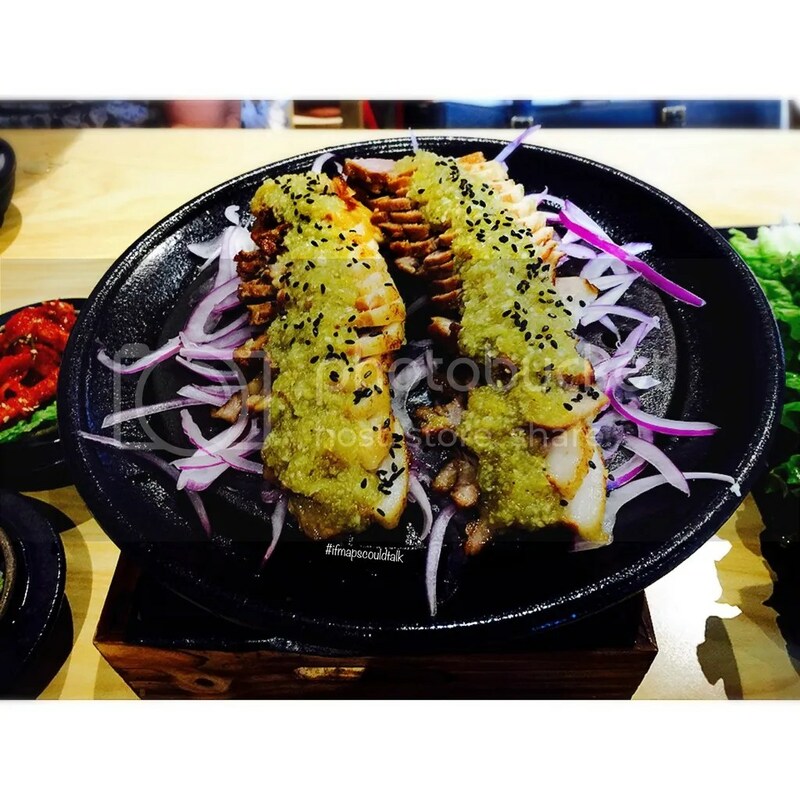 M Grill: I really don’t know why a Brazilian AYCE place is located in Ktown – it’s a little out of place, but I do prefer this over Fogo de Chao. This is probably the most expensive thing on this list. You must order their chicken hearts! You have to request it as it doesn’t come around unless someone orders it and it takes awhile to be prepared. 6. Shabuya: This place used to be called Tahoe Galbi and it was a KBBQ place. Now it’s a Shabu Shabu place (AYCE). They just opened in January 2016. The meats are fresh and they have a variety of vegetables, seafood, and every type of meatballs and dumplings – buffet style. 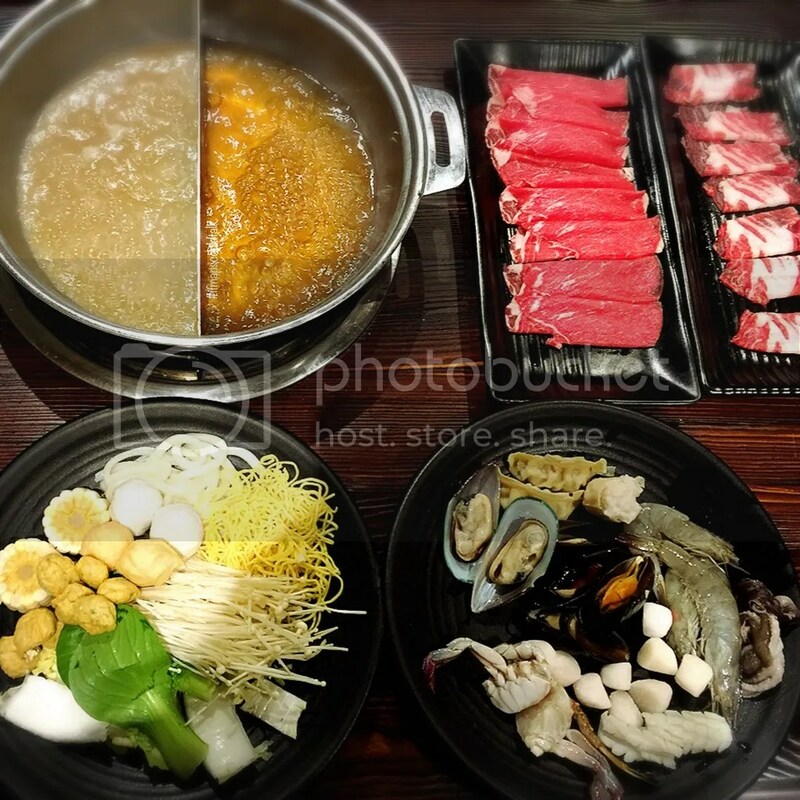 The meat – chicken, beef, pork and lamb are served but its also AYCE. 7. Cottonhi: It’s a softserve ice cream place with a cotton candy topping. I kind of compare it to McD’s or Ikea’s – Not sure if that’s a good thing or a bad thing. I really like their tiramisu soft serve. 8. Sul and Beans: I’m sooo happy that they have this here. I had it in Korea and like a month or two later I found this place! It’s not as sweet as other “snowy ice” places. It’s still fluffy but everything just seems light – you feel like nothing bad will happen to your weight or feel you made a mistake eating dessert. lol. 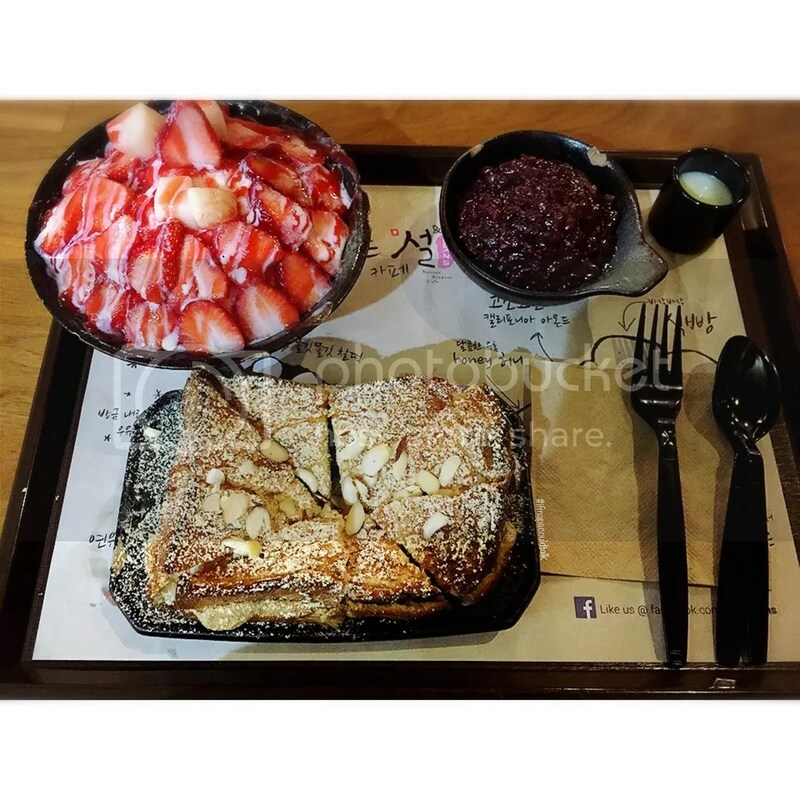 I can’t say the same for the toast though, but it compliments the bingsoo so well! 9.Hangari Bajirak Kalgooksoo: They have hand cut noodles!!! Try their Clam Kal Guk Su or Seafood Kal Guk Su (Spicy). They give abundance of clams! It’s like they’re not in a shortage at all! Plus, the Spicy isn’t spicy for some reason. Haven’t really found a really good AYCE place yet; but some recommendations are Man Soo and Oo-kook. Once you go AYCE; they all taste the same to me. If you guys have your own recommendations, do not hesitate to comment. This entry was posted in Downtown, Food and tagged Koreatown, Los Angeles. Bookmark the permalink.